On Wednesday Nov. 22, a Fort Benton jury found Leonard Higgins guilty of felony mischief. 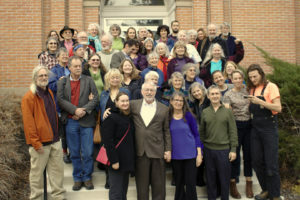 Not only was Leonard prohibited by the judge, Daniel Boucher, from bringing witnesses to support a necessity defense, but Leonard was not allowed to discuss climate change as his motivation for the action during his own testimony. 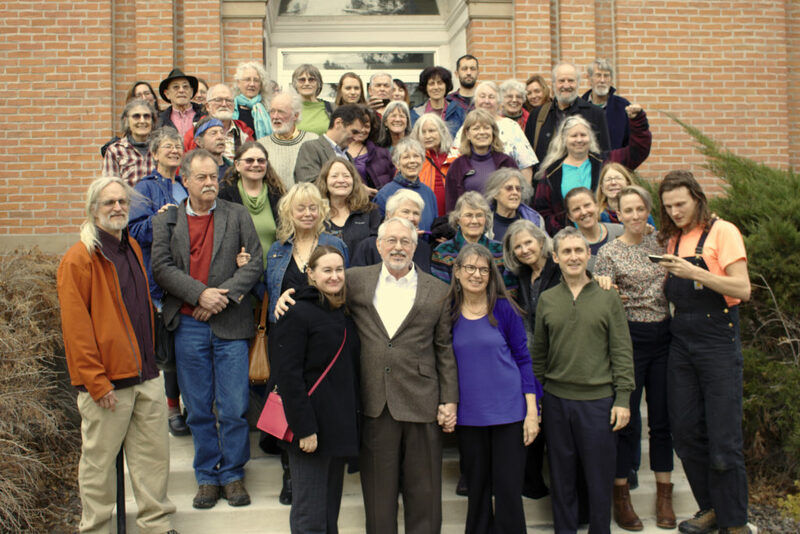 Forty to fifty supporters of Leonard attended the trial that lasted a day and a half. Many of them traveled a distance that required they give up Thanksgiving with their families. 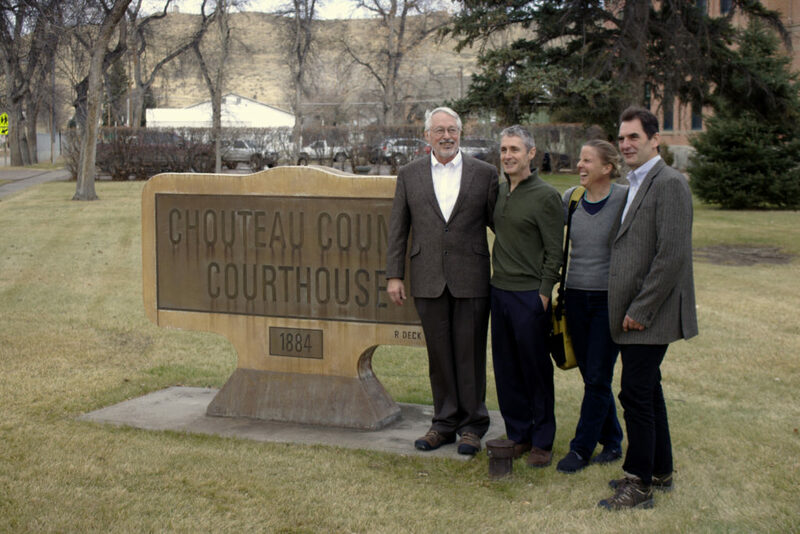 Three other valve turners, Michael Foster, Emily Johnston, and Ken Ward also attended the trial. Leonard faces up to 10 years in prison for felony mischief and his sentencing is set for January 2. An appeal is expected by the defense. Following are a few web links that give further detail on the trial and it’s outcome. The jury selection on Tuesday was one-sided. One person who felt Leonard was innocent before the trial was thrown out by the judge. At least three potential jurors who felt Leonard was guilty before the trial remained in the jury pool. The defense lawyer requested removal of these potential jurors, but Judge Boucher ruled that they remain. The judge did not allow citizens or independent media to take pictures or record video during the trial. Steve Liptay, a videographer from New York, was denied permission to record proceedings by the judge. The bailiff confiscated cell phones of those using their phones as a camera during the trial. However the judge did allow CBS/KTVQ and Fox/KFBB to record important portions of the trail. Apparently he followed a double standard. Due to prohibition of the necessity defense, much of the allowable defense centered on the $1500 required for felony conviction. As pointed out by the defense, hard evidence amounted to less than $1000. The prosecutor gave little hard evidence and specified no amount for money lost by Spectra/Enbridge. Determination of the cost depended on guessing by the jury based on testimony by a pipeline employee. Sound in the courtroom was poor. It was very hard to hear in the gallery. Several people reported their inability to hear the proceedings. The judge had a microphone but it was too far away from him to make a difference. The only speaker that we could hear well in the gallery was Herman Watson, the defense attorney. For those who can’t get or don’t read trial transcripts, it is quite difficult to know exactly what was said. 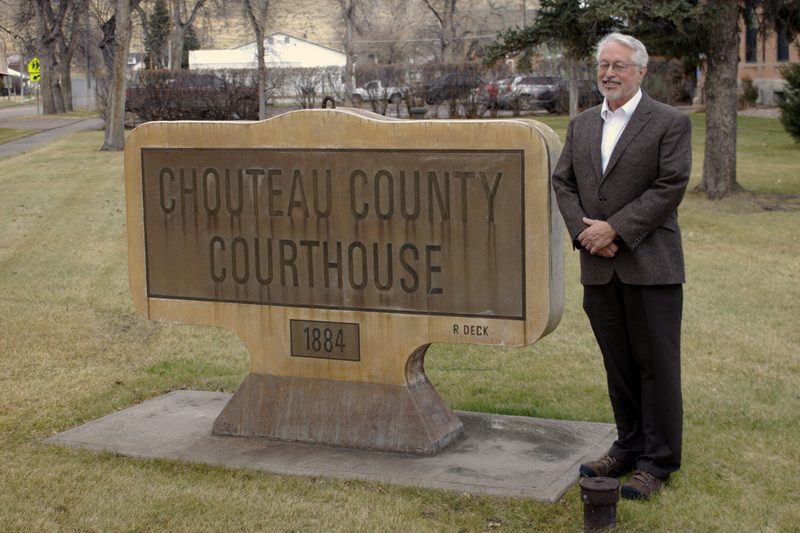 Observers in Fort Benton said that a transcript of Michael Foster’s trial in North Dakota cost $3200. Hopefully the cost in Montana is much more reasonable, given that the court already has it. One seldom hears about eye contact in cases like this. Jurors avoided eye contact with observers as the left the courtroom at the end of proceedings. A Spectra/Enbridge employee met the file of jurors in an prominent place as they exited the courtroom. Apparently a few of the jurors did make eye contact with him. A revolving door exists in small towns like this, where good paying jobs are hard to come by. More than one of the jurors could benefit from a good paying job with the pipeline. I am not a lawyer and do not know minutia of Montana law for this crime. However, regarding what is known as mens rea, the judge did not allow Leonard to present his intention to the jury. The court did not want a discussion of the motive for Leonard’s behavior.